A goal that I set for 2015 was to get back into reading for fun. I used to read so many books that I cannot even fathom a number to guess that would be close to the total number of titles. But as we know, things like growing up and going to college tend to make reading more of a necessary chore than an exciting adventure. So I have been on a quest to fall back in love with the simple task of reading. As I begin to consume more books I thought I could share the particularly good ones here on byAnnaGrace! 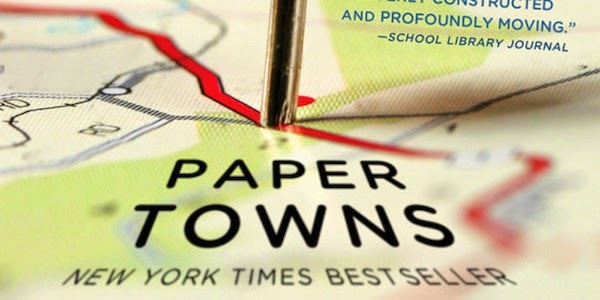 Paper Towns was a book that I had heard such great things about and had really been wanting to read. Once I saw the trailer for the upcoming movie based off of the book I knew I had to read it before the movie comes out this summer. As can only be expected with a John Green literary creation, I was not disappointed! Fortunately I am not going to summarize the entire story as that would take me an eternity and no one wants to read a rambly book report. The primary thing that I loved from the book was the idea that we so greatly idealize the ones that we love or look up to to such an extent that we forget the underlying truth that we are all just people. "And all at once I knew how Margo Roth Spiegelman felt when she wasn't being Margo Roth Spielgelman: she felt empty. She felt the unscaleable wall surrounding her. I thought of her asleep on the carpet with only that jagged sliver of sky above her. Maybe Margo felt comfortable there because Margo the person lived like that all the time: in an abandoned room with blocked-out windows, the only light pouring in through holes in the roof. Yes. The fundamental mistake I had always made---and that she had, in fairness, always led me to make---was this: Margo was not a miracle. She was not an adventure. She was not a fine and precious thing. She was a girl." 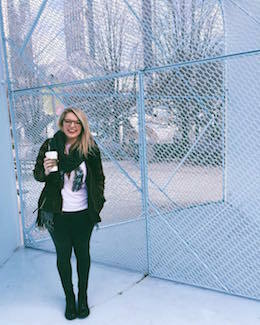 "A paper town for a paper girl...I was a flimsy-foldable person, not everyone else. And here's the thing about it. People love the idea of a paper girl. They always have. And the worst thing is that I loved it, too. I cultivated it, you know? Because it's kind of great, being an idea that everybody likes. But I could never be the idea to myself, not all the way. I thought maybe the paper cutout of a girl could start becoming real here also. And it seemed like a way to tell that paper girl who cared about popularity and clothes and everything else: 'You are going to the paper towns. And you are never coming back.'" In that singular thought that Margo shared she makes such a statement. No one is a one dimensional perfectly predicable picture. We all have layers. We admire people so much that we place them on a pedestal. We idolize and almost dehumanize individuals while holding them to invisible standards that they never agreed to. In a way I feel like social media and just how our culture is today it really pushes us to feel the need to encourage our piers to latch onto the idealized version of ourselves. As Margo stated in the book, who wouldn't want to be an idea of a person that everyone liked? It is so easy to fall into the habit of idealizing people in that way, I know I am guilty of it on a daily basis. It is so important to remember that every single human on this earth is created with so many layers of self discovery, pain, success, dreams, etc. There is no way that one person can understand that from simply judging their looks or reading their Twitter feed. The next time you feel compelled to judge another or hold someone to an invisible standard simply remind yourself they are a person, just like you! Have you read Paper Towns? What did you think? !